The Department of Sanskrit Studies & Philosophy under the School of Indian Heritage, RKMVERI conducts series of programmes to teach Sanskrit and a little of the treasures of wisdom of the Sanskrit literature as a outreach activity to people of all age groups and all walks of life. These programmes start from the preliminary level, and are taught to people of all age groups and all walks of life, and on Sundays so as to enable working people also to enrol for the programmes. 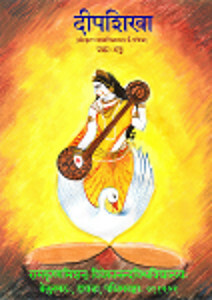 Intermediate :­ basic grammar, Gita and Upanishad chanting with meaning (of selected chapters and mantras). Many cherish strong desire to learn Sanskrit but do not know from where and how to pick up the language. Some of them as they grow by, come to see its significance and splendour but find no avenues open for them at their age. University students of philosophy wade through forests of translated works and eventually realise the indispensability of Sanskrit learning. The pious, and orthodox, of course have innate affinity for Sanskrit but due to circumstantial constricts are not always given to studying it with the due attention it deserves. For all such people here is a golden opportunity to learn the Sanskrit language and see for themselves the invaluable treasures of knowledge contained therein. Personal attention: Personal attention will be given to help students get over the difficult areas. Practical lessons: Assignments and exercises will be given and each student will be individually monitored. Pronunciation sessions: Thorough training in the science of pronunciation coupled with several practical sessions. Certificate: Certificate will be given only to those who have 85% class attendance and pass in the examination at the end of the programme. Entry to the Intermediate Programme: Students with 60% or more marks in the Preliminary programme examination will be eligible for the next level of learning – The Intermediate Programme wherein more grammar and language skills shall be taught.